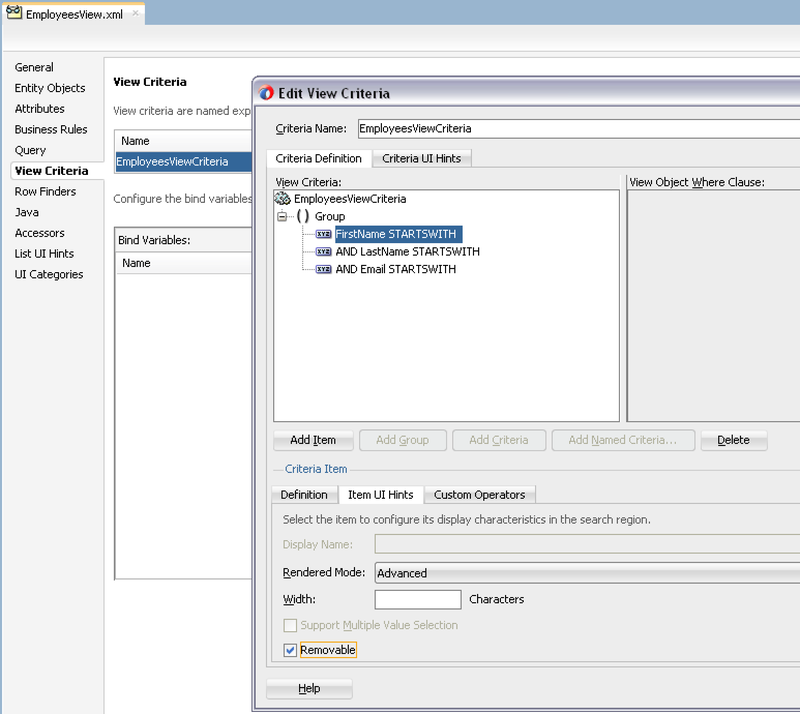 There are quite many new features in ADF 12c (12.1.3). One of them - ADF Query item reordering on runtime, user can choose the order to display criteria items displayed in ADF Query. View Criteria wizard in JDeveloper is updated, besides Criteria UI Hints (as we had before), now developer have access to Item UI Hints (here you can set item visibility, multiple values selection and removable support). 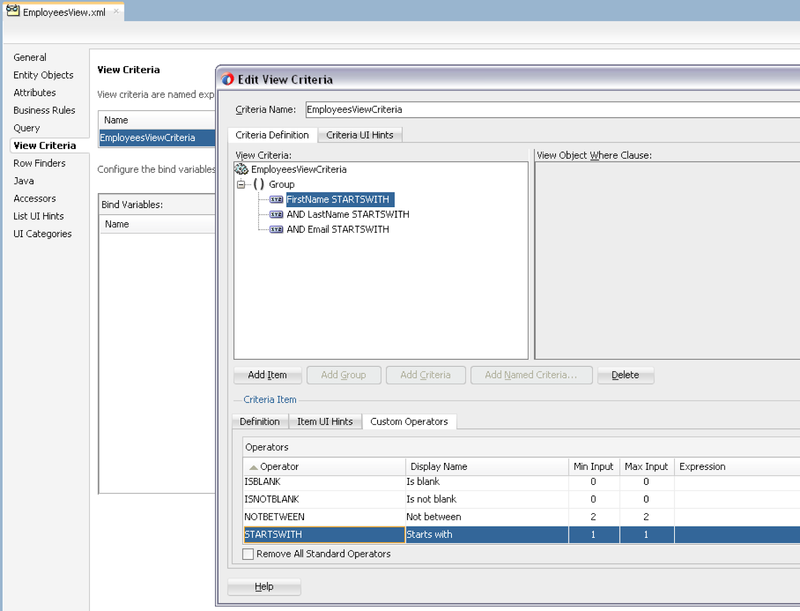 Important addition - new tab in the wizard to define and manage Custom Operators for View Criteria items (this was possible before directly in the source code, now we have a wizard). Download sample application - ADF12cQueryApp.zip. Cool & Useful features !! Can the display Name property in the Item UI hints be used to hide the label of the criteria Item? If I give a Whitespace can the label be hidden? This needs to be tested. Probably in the next post. How can i remove or hide reorder button??? You are posting very interesting things, I'm Thankful to you. I Created view criteria with lots of fields, On run time they are rendering in single row. It looks not good with large list.. So can I displays them into 2 or 3 rows ??? For this I searched many blogs but not got solution.